Do you have a discount code? Click here to enter your discount code. Your use of this Website constitutes your acceptance of these Terms and Conditions. These terms and conditions may be updated by us from time to time without notice. It is your responsibility to regularly check this page to determine if there have been changes to these Terms and Conditions and to consider such changes. Arabic Seeds is not responsible for technical limitations of the end user. We recommend you to read our FAQs and to contact us if you can't resolve your issue. You MAY NOT sell any of our resources/products/files for profit or non-profit. You MAY NOT email a copy or distribute our resources (digital and printed versions) by any other means. You MAY NOT modify, alter or edit any resource/product/file in any way, shape, or form. This includes, but is not limited to, changing its original format or language, extracting text and/or images, adding, deleting or changing text. You MAY NOT print, assemble and then sell any resource/product/file as a product/good. You MAY NOT upload any resource/product/file to other file sharing services (i.e. 4Shared, Box, etc.) and you MAY NOT host them on any website. Please simply provide a link to our website. We reserve the right to change pricing and or availability of our products for any reason and without notice. Any material downloaded or otherwise obtained through Arabic Seeds is done at your own discretion and risk and you will be solely responsible for any damage to your computer system or loss of data that results from the download of any such material. Arabic Seeds take no responsibility for the way you use the content you download. Refund requests: contact us for any refund request. We will study refund requests on a case by case basis. We write detailed descriptions of our resources, it is your responsibility to read them carefully before placing an order. Moreover, due to the nature of our products (digitals that you can download directly after your order), we reserve the right to decline your refund request. Your member account is strictly for your personal use only (as a parent, homeschooler, or teacher) and you may not use your account to download, print or use any member content for anyone else, except your own children, or the students of your class. Please, contact us if you intend to use the membership for your school or your playgroup, co-op etc... Your Member account is subject to an acceptable use policy, and user accounts are monitored. Arabic Seeds considers that no user would reasonably need to download more than 50 resources per calendar month and accounts exceeding this download level are subject to review. IMPORTANT: For the monthly membership, at the end of each month, your Membership will be renewed automatically. If you want to end your membership, you will have to cancel it from your account or to contact us. You must cancel your membership before it renews each billing period to avoid billing of the next membership fee to your Payment Method. Failure to pay any fees may result in your inability to access or the cancellation of your membership by us. Refund: due to the nature of our service (you get instantly access to online and downloadable content), we do not offer refunds. In very special cases, we may decide to offer a refund, contact us and we will study your request. We reserve the right to change the pricing of our membership plans for any reason. We will communicate this change to you. Arabic Seeds has an excellent record of uptime and availability of the Website. We do not, however, guarantee that the Website will operate continuously without interruptions or be error free and Arabic Seeds therefore accepts no liability for its unavailability. Certain aspects of the Services may require you to register and provide information about yourself. You agree to: (a) provide true, accurate, current and complete information about yourself as prompted by the relevant registration form contained on the Website (such information being the Registration Data) and (b) maintain and promptly update the Registration Data (by emailing us) to keep it true, accurate, current and complete and we shall not be liable for any loss suffered by your non-compliance with this provision. The registration processes will involve you providing a password and we shall provide you with a designated account. You are responsible for maintaining the confidentiality of the password and account and are fully responsible for all activities that occur under your password or account. You agree to (a) immediately notify Arabic Seeds of any unauthorised use of your password or account and any other breach of security, and (b) ensure that you exit from your account at the end of each session. Arabic Seeds cannot and will not be liable for any loss or damage arising from your failure to comply with this obligation. Use of the Members' Forum: please see the section C below. Arabic Seeds reserves the right to delete any comments or posts which it deems inappropriate for the forum. Any rude, offensive, unsupportive, or spam comment/posts will be removed. Do not screenshot any posts or comments and share them in here or other forums or platforms, or by any means. Do not post personal details, such as email addresses or where you live. Do not upload any photos with children’s faces or names on. Although this is a private forum be aware that this is essentially an open platform, we cannot guarantee complete security! Please do not share links to other resource websites as we rely on the subscriptions from our users to keep making the resources that many people have found so useful across the world. We will remove any advertising posts from the forum. These include advertising a product/service, recruitment posts, posts which promote other websites, blogs, pages or forums. If you want to share a post like this, please contact us first. 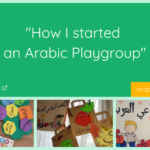 Exception is made for links to a page or blogpost where you share about an activity you have done with Arabic Seeds' resources (thank you for your support!). Anyone seen to violate the above rules may be removed from the forum without notice. Any views or opinions presented in this forum are solely those of the author and do not necessarily represent those of Arabic Seeds. You are solely responsible for any content that you create, transmit or display while using our website, including the blog, forum, membership, shop etc... We claim no ownership rights over User Content created by you. The User Content you create remains yours. However, by posting your content you accept that other Users may use, reproduce, distribute, display your content. You must have the legal right to the User Content you submit to our website. You may not upload or post any User Content to the website that infringes the copyright, trademark or other intellectual property rights of a third party nor may you upload User Content that violates any third party's right of privacy or right of publicity. You may post only User Content that you have permission to post by the by the owner or by law. Our website may include links to other websites. These links are provided as resources and do not signify endorsement of the website. Our website, its content and any resource/product on this site are the intellectual property of Arabic Seeds. Thank you for protecting and respecting our work and efforts, and making this community safe! If you have any question or request, don't hesitate to contact us. Let’s sow the good seeds of Arabic from baby age!